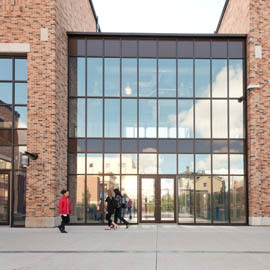 Ride the Wave on the Brantford campus is psychoeducational programming Groups designed to meet the needs of students at Wilfrid Laurier University to assist in reducing stress, coping with intense emotions, and developing resilience. These groups run twice a month: Tuesdays from 10:30 to 11:30 a.m. and Thursdays from 1:30 to 2:30 p.m. Starting in September in CB106. Workshops are free, drop-in, and open to registered students. Refreshments provided so please sign up ahead of time! October 4 and 16 - Mindfulness and Creative Healing: Learn strategies to increase your self-awareness and focus on the present moment. This workshop teaches mindfulness skills that are great for daily practice and to help you cope when feeling stressed. There is a focus on creative ways we can be mindful on a daily basis. November 1 and 20 -Distress Tolerance & Emotion Regulation: Learn strategies to stop, step back, observe and act effectively in any situation. Learn what self-soothing is and why it is so crucial! This workshop also helps effectively identify emotions and learn skills to assist in self-regulation. December 4 and 13- Grounding: Learn grounding techniques to help you to stay “in the moment” when your mind and body are returning to a place of stress.